NPD's sales numbers for this past June are a sad reminder that we live in a harsh, unfair world. Q? Entertainment's Child of Eden was a beautiful, wondrous experience that nigh-singlehandedly made the case for Kinect as a game peripheral. Gearbox's (and 3D Realms') Duke Nukem Forever was a puerile, ham-fisted, inconsistent joke of a game. In the US, one of these games outsold the other by a factor of ten in June. Can you guess which one? If the tone of the article thus far hasn't given it away yet, the winner on sales was Duke Nukem Forever, which was the second-best-selling game in June with 376,300 units sold, according to numbers released by NPD Group. 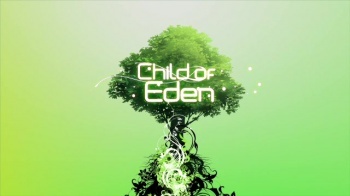 In comparison, Child of Eden sold a paltry 34,000 copies in the same amount of time. Another off-beat title - Suda 51's Shadows of the Damned - suffered in the sales department, moving a mere 24,000 units across both Xbox 360 and PS3. While it might not have been as good as Child of Eden, it was certainly a hell of a lot more interesting than Duke. Other numbers, thankfully, weren't quite as disheartening. The best-selling game of the month with 419,000 units sold was Rockstar's L.A. Noire, which despite its flaws was actually pretty good (and certainly unique). The also-excellent Infamous 2 was the highest single-platform title at 369,200 sales, and trailing behind it with 283,200 units sold was The Legend of Zelda: Ocarina of Time 3D, the first 3DS game to break into the month's top ten. I don't need to tell you that Ocarina is superb, because you knew that already. So, while not all the news was bad, the juxtaposition of Duke Nukem Forever's sales vs. those of Child of Eden and Shadows of the Damned is still pretty damn depressing.